The caregivers of Home Helpers are thoroughly trained and provide services that increase safety, build well-being, and preserve independence – making life easier and providing peace of mind for aging or disabled individuals and their families. We know every situation is unique, so we offer a no-obligation, face-to-face meeting in one’s home to help us understand each individual’s specific needs and ensure that everyone is comfortable. Based on our consultation, we’ll customize our services to match particular needs and concerns, whether it’s a few hours a week or 24/7 care. We’ll strive to match each client with the perfect caregiver to ensure the best experience for everyone. Furthermore, Home Helpers provides a wide array of monitoring services and medical alert devices through our partnership with Direct Link®. These devices empower seniors to live independently longer while also ensuring safety and security. In some instances, Home Helpers monitoring services can be used in lieu of in-home care – a great place to start. You or your loved one doesn’t need what our care services entail, but maybe it’s time for minor, low maintenance assistance. Alternatively, monitoring services can be the perfect supplement to our in-home care services, whether you’re considering or already utilize our care options. 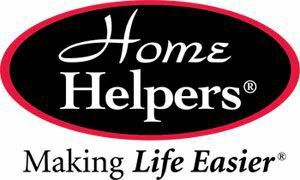 Whatever the situation may be, Home Helpers has ensured that we can take care of you.